No other in Indonesia is quite like the Moramo Waterfall. It is unique in traversing a 2 Km plateau, with 127 separate terraced plumes, with the top of the waterfall some 100 meters above is basin pool. 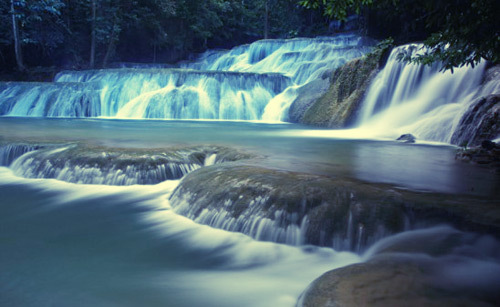 The falls have seven main terraces, each with its own natural bathing pool. This combination produces clean, fresh, cool air in the shade production tropical, jungle-forest setting, which surrounds the falls. This is the perfect habitat for Southeast Sulawesi‘s native animals and birds. Those who love nature at its purest will find this an ideal environment. Only 65 km east of Kendari, Moramo Waterfall is easily accessible by car or by boat, crossing Moramo Bay, with wide panoramic scenery of the sea.